It was our privilege to celebrate our first wedding of the season with our good friends, Chelsea and Garret, who flew in all the way from China (where we photographed their colorful fall engagement session) to celebrate their wedding day with the gathering of their families in Western New York. Although the days leading up to their wedding were miserably cold, on their wedding day, the clouds parted, the sun shined, and Spring stopped in a for a brief, beautiful visit! We met the bride and groom as they and their families made final touches just prior to the ceremony at the Orchard Park Kingdom Hall. 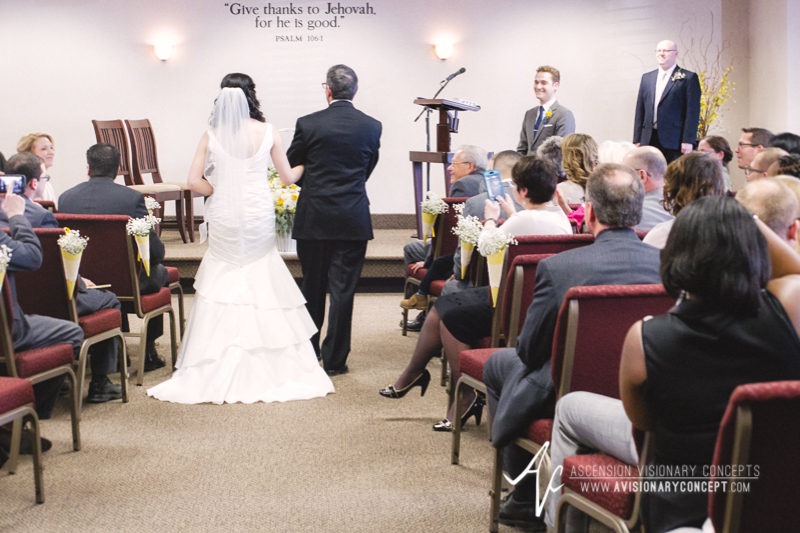 What words could possibly describe how proud and happy Chelsea's father was to walk her down the aisle? After rings and vows, we were off with the bride and groom to capture their first portraits as husband and wife. Although these two had judiciously arranged a lovely indoor venue for their couples photographs, we just could not let this warm March evening slip away without a few outdoor photos. Love, love, love them! What do you get when you combine great light with two beautiful people and a piano? This gorgeousness! And a little romance, too! With that, Garret and Chelsea were ready to make their entrance at their Ilio DiPaulo's reception to continue the celebration. What a joy to capture Chelsea dancing with the two most loving men in her life, and such a fitting way to close out this post. 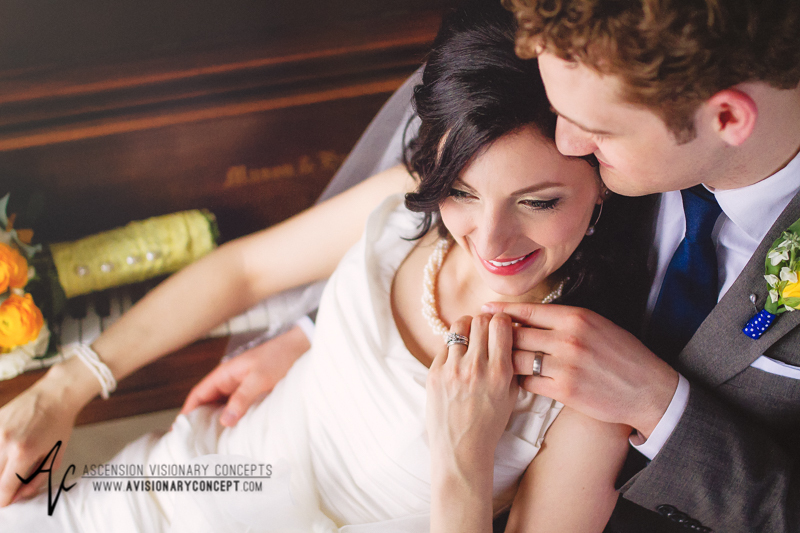 Chelsea and Garret - we can't say enough how happy we are that you two found each other! 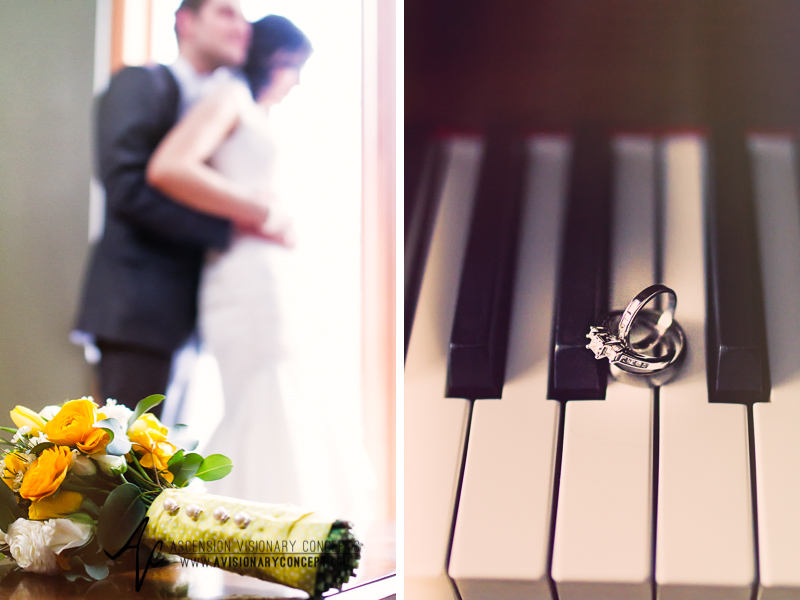 We are honored to have played a part in capturing the start of your life together. As wonderful as it is that you returned Stateside to celebrate your union at home with your families, we know you will always feel at home with each other no matter where you journey together--in this world, and the next! Congratulations! Zhùhè! 祝贺!